Chris Cooper has been NYA’s sale manager since 2003, after joining the company in 1998. 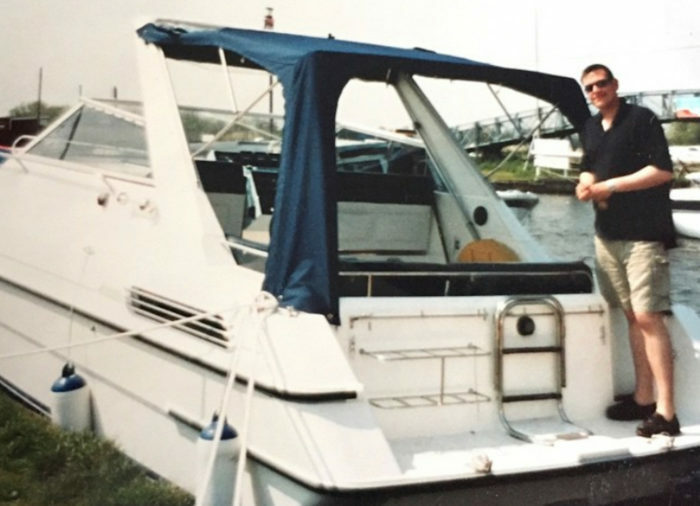 Having grown up messing about on the Norfolk Broads, he bought his first boat at the age of 23. 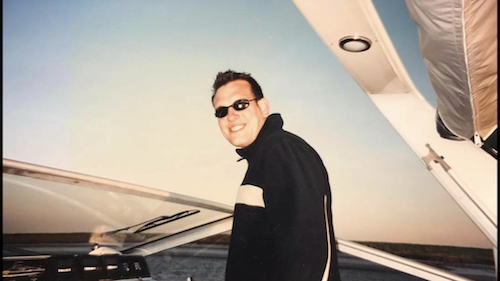 Here’s what he had to say about his first boat. 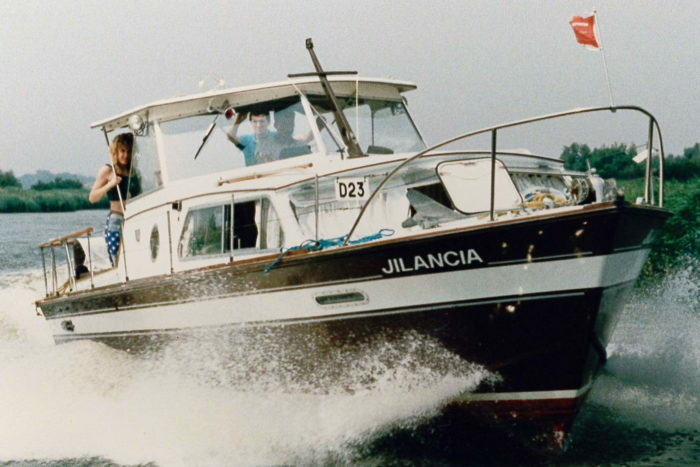 A 1990 Falcon 27 called ‘Jester’ with twin Volvo AQ151, 146hp petrol engines. The canopy was a bit tatty, she needed a polish and a good service. After a weekend of machine polishing and antifouling she looked like a different boat. A few thousand pounds later with a Jeckells canopy and a full Monty service she was ready for action! I used her predominately on the Norfolk Broads, but spent a fair bit of time churning up Breydon Water! The most memorable tale is how she was sold. I was swinging about on a mud weight in Ranworth Broad one Sunday afternoon cleaning and polishing in the sunshine. One of our clients rowed up in his inflatable tender and said ‘nice boat Chris – is it for sale?’. I quickly said no and explained that she was my pride and joy and that no amount of money would make me part with her. Monday morning we were sitting in my office drinking coffee having shaken on a deal! I kept her at Thorpe, Brundall and then Horning. I was so sad to have sold her I bought another Falcon 27 the following season. That particular boat, named ‘Overdraft’, also has a fond history at NYA, James and Speedo also both having owned her at some point or another over the years! I grew up in Hickling and spent hours messing about in anything that floated. It was a natural urge to buy a ‘proper’ boat, an itch that I scratched as soon as it became a possibility. I have a rather pretty electric launch. She’s out of the water mid renovation at present, typical given the fantastic summer we’ve had this year. Buy the boat that makes you smile. No matter how impractical or unsuitable, you have to want to spend time aboard! My long-suffering wife describes it as ‘smiles per hour’!